Tuesday was a great day for peds in Orange County. Mayor Jacob’s announced her participation in the USDOT Mayor’s Challenge for Safer Streets, Safer People. Click here to see the video footage. “Today I would like to announce that we are joining the USDOT’s Mayor’s Challenge for Safer People, Safer Streets. Which is an effort being led by Department of Transportation Secretary Anthony Foxx to shine a spotlight on local efforts around the nation, with a goal of improving safety for bicycle riders and pedestrians of all ages and abilities. Since 2012, Orange County has been spearheading our own pedestrian friendly and bike safety initiative including a comprehensive safety program that will be rolling out later this spring. We will be doing it in conjunction with a BCC work session. 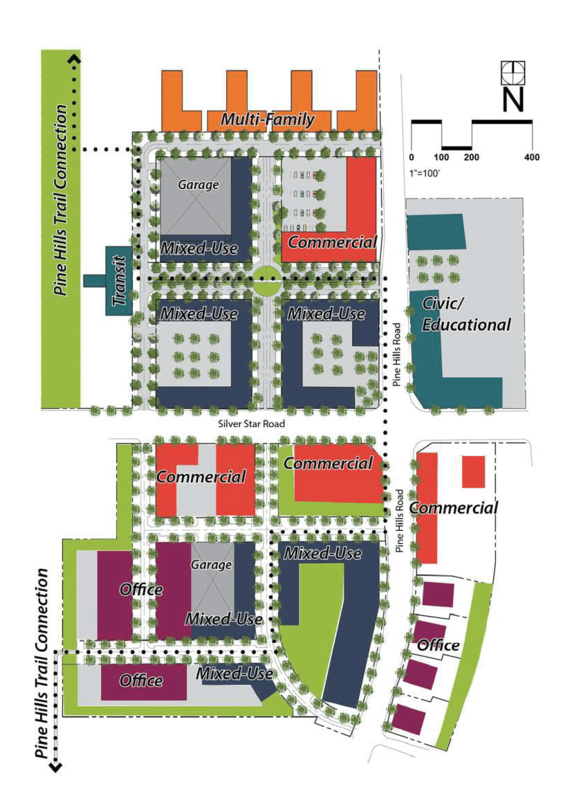 Pine Hills community met with representatives from the American Planning Association to create a Pine Hills Town Center Master Plan. 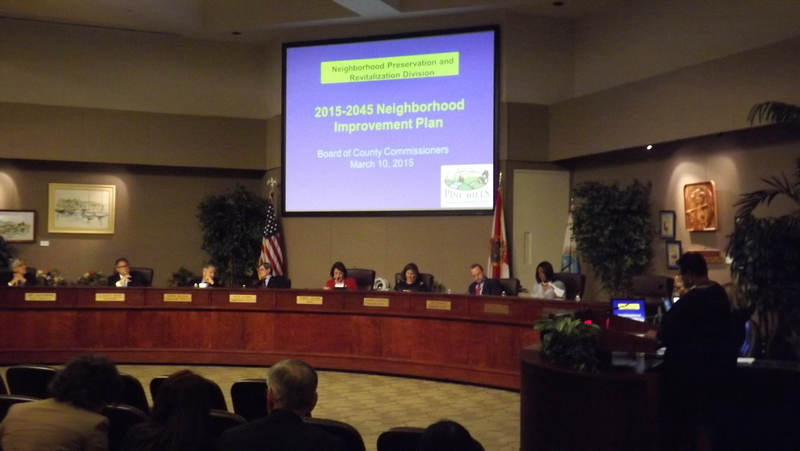 The goal of the improvement plan is to restore the vitality of the community. 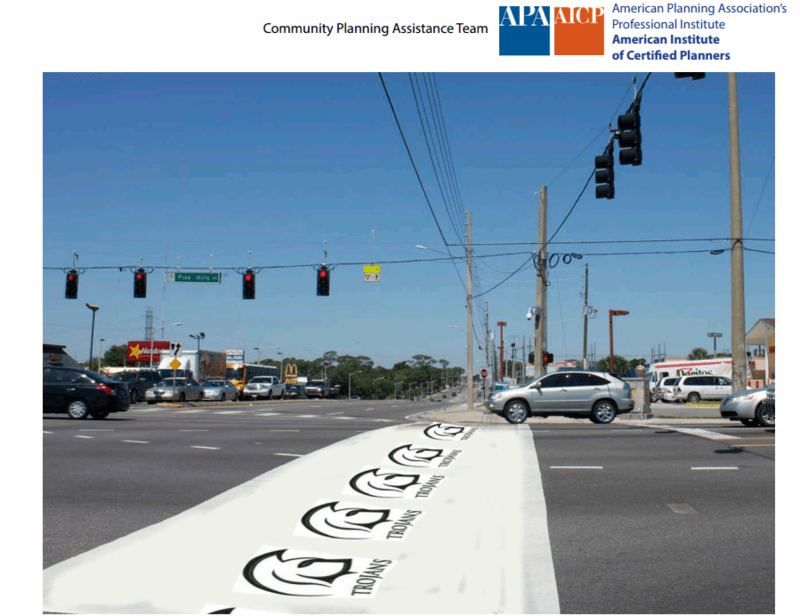 Some of the proposed design features combine branding tactics with pedestrian safety enhancements, such as this custom painted crosswalk with the Evans HS logo.